​Power engineers are challenged to provide uninterrupted electricity supply at minimal financial and environmental cost, while fulfilling regulatory requirements, being Smart Grid compliant and cyber secure. How can Omnisens Cobra help in this challenge? 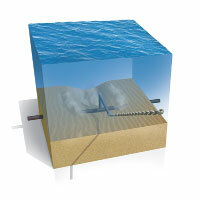 In both underground and subsea cables incipient faults often result in temperature events. Using optical fibers integrated into the power cable or laid close by, Distributed Temperature Sensing (DTS) helps detect changes and faults allowing the operator to intervene before the cable fails. It is suitable for deployment in any cable where an optical fiber is present, including HVDC, HVAC, export, inter-array, transmission and distribution. ​Power cable performance and design can be optimized using the Dynamic Cable Rating (DCR) module. (Note: DCR is also known as RTTR and DRS). ​Continuous real time monitoring with early detection and location of temperature and/or strain events. ​Monitor even the longest cables all along their length. 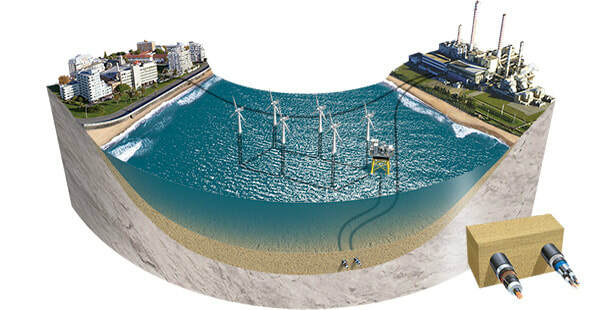 For subsea cables this means along the entire cable, not just the shore ends. And if it just shore ends, then Omnisens systems enable a longer distance from the shore end. That means more of the cable is monitored against failure. Detect and locate temperature (or strain) events anywhere along the cable, for investigation. High performance DTS (Distributed Temperature Sensing). Detect, locate and track small events. Obtain rapid, reliable extrapolations for load management decisions when Dynamic Cable Rating system (DCR) is used. Make timely, informed decisions about their cables and maximize the financial performance of these high fixed-cost items. Benefit from cost effective monitoring for every project, with optional Geographical Information System interface and Dynamic Cable Rating. 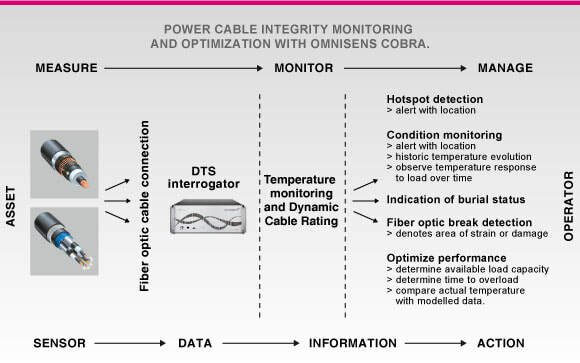 ​Omnisens cobra is a modular fiber optic distributed sensing solution for power cable condition monitoring and performance optimization. Omnisens Cobra provides high performance, long distance monitoring enabling operators and utilities to optimize their power cables. Based on Brillouin or Raman scattering depending on the project requirements, DTS detects, locates and profiles small temperature changes along the entire length of a power cable continuously, in real time. Omnisens DITEST (Distributed Temperature and Strain Sensing) interrogators are based on Brillouin sensing using single mode optical fibers as the sensor. The DITEST is a DTS which provides effective monitoring of long cables, or where the sensing fiber experiences significant optical loss, with consistent spatial resolution. It detects temperature and/or strain. Due to manufacturing, transport and installation challenges of long cables, the sensing fiber may be placed under tension and strained. The affected cable sections can be successfully monitored for temperature using compensation techniques developed by Omnisens. Whether unintentionally detected or actively monitored for using an appropriate fiber optic sensor design, strain provides another insight into the power cable's condition. Knowing where strain exists or is developing, the operator can mitigate against the effects this may have. One or more dedicated servers are included for data processing and storage. Omnisens Raman DTS interrogators provide temperature monitoring of power cables using multimode optical fiber as the sensor. For many cables, particularly shorter, direct buried cables, this is an ideal solution. 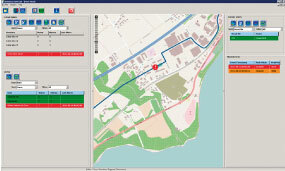 ​An optional customizable graphical user interface, Omnisens Map provides a simple ‘see at a glance’ visualization of the entire asset, showing alerts and events. 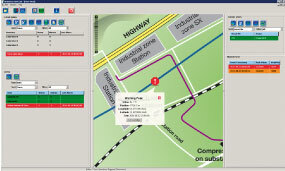 Information from Omnisens Cobra Dynamic Cable Rating can be integrated into Omnisens Map, e.g. : position of lowest and highest monthly temperature. An event, or events, occurring along the power cable show as alert signals on the graphic. The details of the event are shown in a zoom window. The asset route data is provided by the client and integrated into Cobra by Omnisens. The temperature profiles are also available for analysis. The optional Dynamic Cable Rating (DCR) module establishes the relationship between load and temperature. This information helps manage the performance of the cable as well as providing ratings in emergency situations. Dynamic Cable Rating uses algorithms based on IEC 60287 and 60853. The DCR calculates the conductor temperature based on the cable construction, electrical design, laying configuration and environment. Maximum ampacity of the cable, given the duration (time) and the allowable temperature during an emergency situation. During design studies for new cables, Dynamic Cable Rating informs decisions on specifications, e.g. : conductor diameter. Omnisens Cobra monitors temperature all along the cable. Thanks to its distance range the interrogator can be housed many kilometers from the asset. It is available in a range of cabinets, with battery, UPS and server options. An optical switch provides up to 20 channels so that several cables can be monitored from the same interrogator. Alerts can be sent to SCADA via TCP or relays, all standard Communications Protocols are available including IEC 61850. 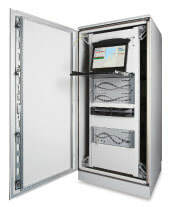 The interrogator is usually housed in the control/ instrument room on- or offshore. 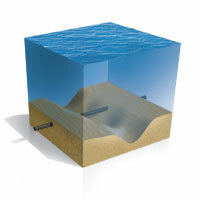 Portable versions are available for surveys onshore or from a vessel. Note: Measurement definitions - Omnisens uses SEAFOM-MSP-01 Measurement Specification for Distributed Temperature Sensing (Download the document here). ​Omnisens Cobra can grow with your project. A range of interrogators and optical switches to monitor up to 20 channels means the Omnisens Cobra system will expand as additional cables are added to the offshore windfarm or interconnector system. Over time, the soil or environment around a buried cable alters resulting in changes to the cable’s ability to dissipate heat. Cables in ducts or tunnels can also be affected. During its > 40 year life a buried power cable faces unforeseen changes in its environment which will affect its thermal profile. Installing cables in pipes or ducts minimizes some of these effects, but the unforeseen still happens. DITEST or multimode fiber for an Omnisens Raman based system. Some typical locations of optical fiber sensing cable in power cable installations. Temperature monitoring of cables pinpoints developing temperature events in real time. An intervention can then be directed to the part of the cable concerned, reducing the risk of subsequent failure. Adding Dynamic Cable Rating, the cable can be safely loaded according to actual temperature, rather than the steady state rating. ​Currents, moving sea and riverbeds, diurnal and seasonal temperature changes, fishing, shipping and submarine activities all threaten subsea cable integrity. Damage to the cable or changes in its environment can be inferred from the cable’s temperature, all along its length, using optical fibers within the cable. If the cable is stretched or damaged resulting in the optical fiber breaking, an alert will be sent indicating the location of the break so that the repair team can plan appropriately. Omnisens Cobra has a range of Distributed Temperature Sensing (DTS) interrogators to monitor all cable lengths. A Brillouin based DITEST can monitor up to 100 km (solutions are available for longer distances). Since the interrogator can be placed some distance from the cable, for windfarms, the interrogator can usually be housed onshore. Free from dependence on weather windows or offshore qualified personnel for maintenance, opex is reduced and there is no offshore capex. A typical interconnector installation includes Dynamic Cable Rating (DCR). The effects of currents and storms may result in the exposure of a buried submarine cable. Unsupported, it accumulates fatigue and subsequently fails. Set to alert at a certain rate of rise or fall in temperature, Omnisens Cobra will indicate the location at an early stage, enabling the operator to investigate and minimize the risk of cable failure. The power-from-shore cable includes a dynamic section below the hang-off point. The bend stiffener, component friction and touchdown point protection may contribute to unforeseen effects on the cable temperature. Areas of higher temperature can be identified as separate zones in the Cobra system with alerts set accordingly, giving the operator early warning of unplanned temperature excursions. 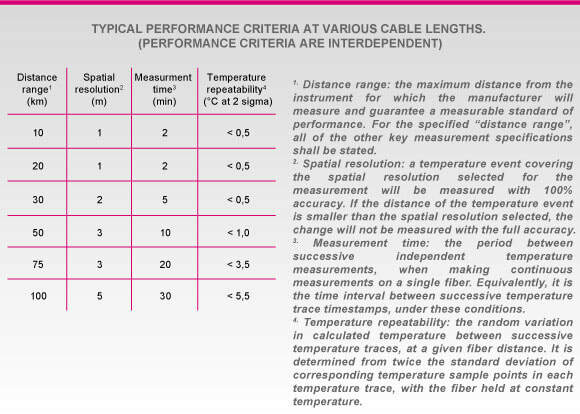 This information can also be included in the feedback to the cable model to help predict service life. Omnisens systems are available for rent. Training and a service engineer can be provided with a rental system. A survey can be helpful for troubleshooting, cable investigations and for providing a pre-energization profile of a cable. Omnisens DITEST is available for optical fiber quality testing during cable manufacture. Sensing system design, monitoring system tests and validation. Configuration optimization (zone identification and alert thresholds), including system redundancy and communication connectivity (alert and status information). Integration into third party systems, (SCADA). Alerts can be sent to SCADA via TCP or relays. Standard Communications Protocols are available including IEC 61850. Remote access set-up and operator training. A range of services ensures continuous availability of the monitoring system. Refresher training and system re-configuration.